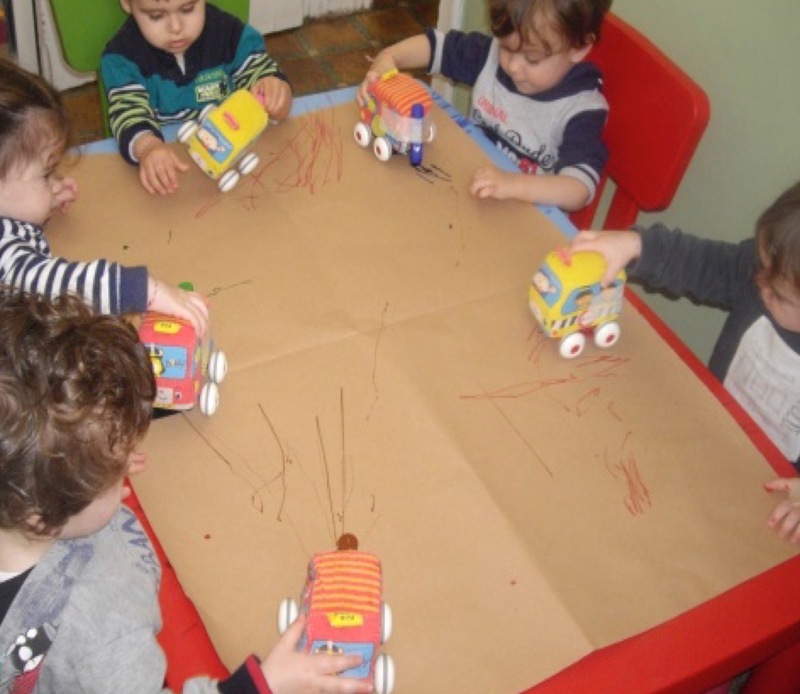 Babies enjoy playing with cars or with anything else bearing wheels. 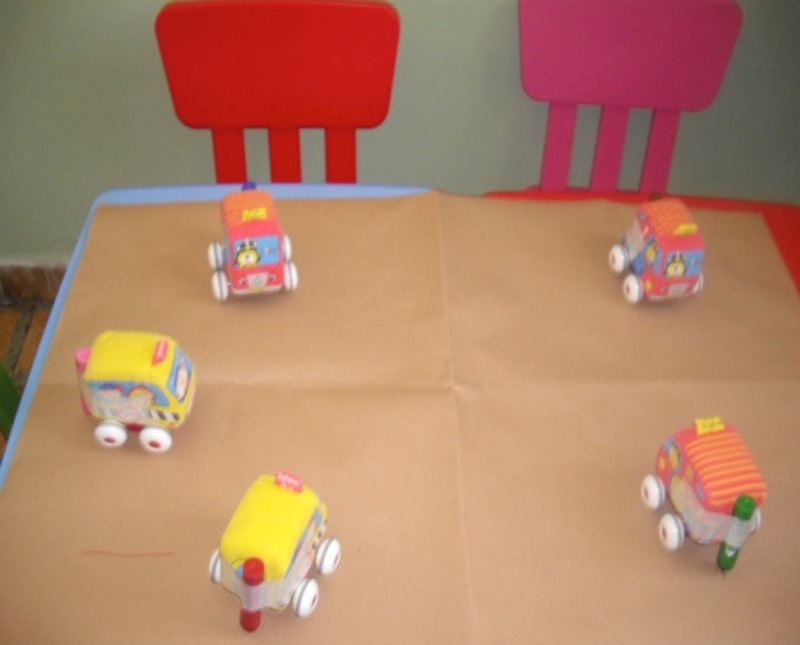 One day they found in class their favorite toy cars, having markers taped on their bumper! They also found a large paper roll on the table. Kids instantly took the cars and started drawing on paper! 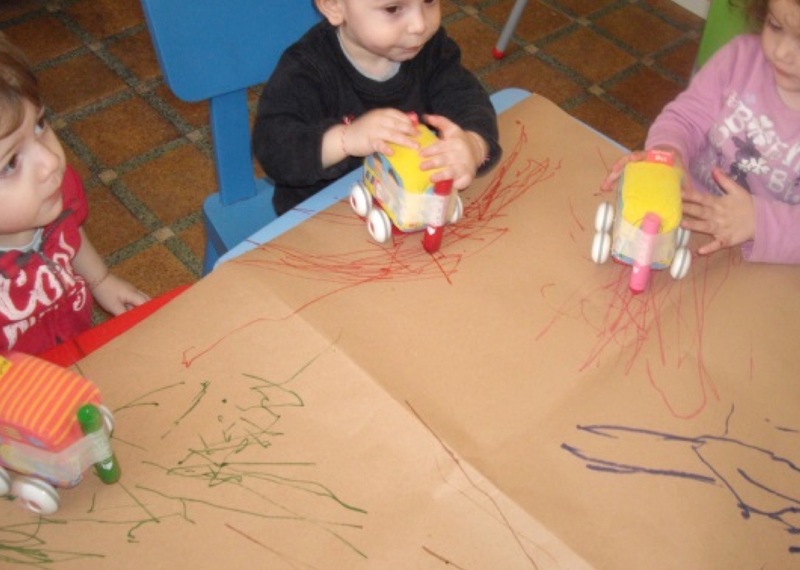 By doing this, babies enjoyed playing but also improved their finger skills. Now, we maintain a permanent spot for this activity in class and our marker cars are always ready to take action!